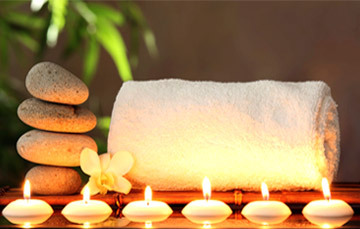 Take a break from the monotonous life and pamper yourself with exotic spa treatments in Thailand. The country affirms to be an abode to the best spas in Asia which has earned it a title of “The Spa Capital of Asia”. It stands at the forefront in bringing up innovative spa concepts, environment-friendly spa treatments and superlative hospitality services. Thailand is known as one of the leading spa destinations for both the health-conscious and those who seek relaxation. Thailand is respect to its spa retreats is a combination of a long history of traditional medicine, inimitable hospitality, and efficiency. All these aspects afford Thailand the reputation of a leading wellness sanctuary. Thailand with its outstanding services has bagged various awards. One of the most prized awards is the AsiaSpa Awards where it received the title "Asian Spa Capital of the Year”. People in Thailand have long enjoyed healthy and happy lives due to their easy-going lifestyle, positive attitudes, and the use of natural methods and ingredients in the promotion of health and wellness. The country offers spa-lovers a diversity of delightful tropical destinations and an abundance of herbs and therapeutic plants with healing powers. These fascinating factors, combined with Thai people’s ability to use their local wisdom along with contemporary techniques and treatments, create an exquisite spa experience for every traveler. Spa resorts in Thailand feature a comprehensive array of revitalizing treatments and therapeutic programs that lead to balanced physical and mental wellness. The element of the spa experience in Thailand is an unrivalled pleasure of pampering, no matter what type of Spa treatment it is. The smiling faces, sweet gestures, or simply the gentleness – the unique attribute of Thai Hospitality makes the spa experience in Thailand different from anywhere else in the world. These factors in combination provide an exotically mesmerizing experience to the world. The concept of spas in Thailand has evolved over time, and nowadays the kingdom is endowed with fully integrated health and wellness centers that offer holistic healing, medical-oriented services, and ultimate pampering packages. Treat yourself to the sweet indulgence of an unforgettable spa experience in Thailand and discover what makes Thailand a paradise for spa-lovers.